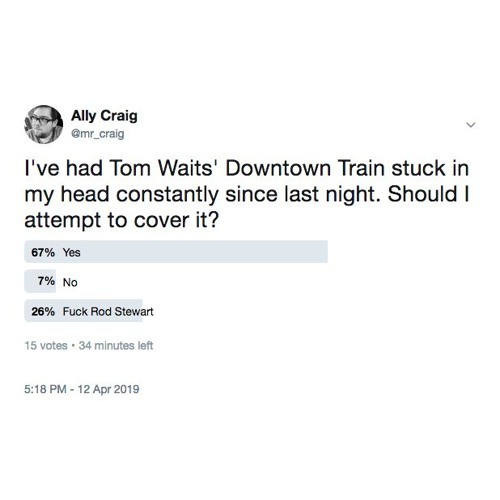 'Downtown Train', written and originally performed by Tom Waits on his 1985 album Rain Dogs. Demo performed, recorded and mixed by Ally Craig, Friday 12th / Saturday 13th April 2019. With apologies to the seven percent.